Medical supplies market is experiencing impact on offerings of services to healthcare cost. Growth of the market is mainly influenced by availability of products such as equipment’s. Equipment such as surgical knives and gloves, forceps, bandages and dressings, stethoscopes, syringes, medical laboratory equipment, dental drills, x-ray films, and others. The medical supplies & distribution industry does not consider retail sales of drugs and medical supplies, and high-tech medical equipment manufacture. These devices offers assistance to healthcare providers for better services and facilities in the hospitals. Rising number of incidences of chronic diseases is boosted demand for these devices substantially. The intense competition in the market lead to high investment, however, rather than developing and manufacturing advanced products in every industry. For widening companies’ business region and product portfolio, the key players started to acquisitions. The industry has key trend of merger, acquisitions, and strategic collaboration for widening its business across regions. This trend offer advantages to offer wide range of products. For instance, in 2016, Baxter International Inc. acquired Claris Injectables for US$625 Mn for widening product portfolio. It was a subsidiary of Claris Lifesciences a sterile injectable pharmaceutical company. This acquisition allowed to Baxter international Inc. to offer advanced products from Claris. Likewise, in March 2017, Boston Scientific Corporation announced to acquire Symetis SA. It is medical technology company that offers and manufactures transcatheter aortic valve implantation (TAVI) devices. This acquisition offers to Boston Scientific to offer this TAVI devices. Additionally, due to continue evolving technologies, the hospitals and many healthcare service operators are changing existing systems. This trend of merger, acquisitions, and strategic collaboration coupled with changing systems with advanced one are driving growth of the market and expected to continue over forecast period. Medical supplies is an umbrella term used for all devices and equipment used to diagnose, monitor, and treat a patient within the healthcare industry. Of the several types of diagnostic medical supplies, the more common ones include ultrasound and MRI machines, scanners such as PET and CT, and most commonly, x-ray machines. Monitoring equipment includes the devices that continuously measure a patient’s blood pressure, EEG, and ECG. The global medical supplies market also includes the devices being used to monitor and treat patients that are a part of an organization’s home care services. Therapy can include devices such as CPM machines. 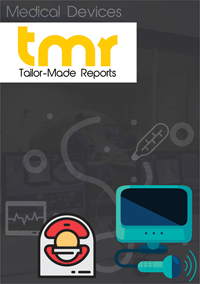 The top driver augmenting the demand volume experienced by the global medical supplies market at the moment, is the increasing average of patients approaching medical facilities. In most regions, this is due to the increasing count of the geriatric citizens. This holds true especially for developed economies, where the elderly demographic is increasing at a very fast pace, due to reduced mortality rates. In emerging economies, the increase of healthcare outreach is creating a greater scope of access for patients from various age groups, classes, and locations. The global medical supplies market is also being driven by the growing number of cases of hospital-acquired infections, or nosocomial infections. These are creating the need for specialized materials and unique treatment options. The booming demand for healthcare services and devices is essentially driving the global medical supplies market, and it will likely be the primary driver for the same. Of the many strategies being employed by players in the market to turn towards greater profitability, partaking in mergers and acquisitions is one of the more common steps. A recent example includes the plans revealed by Cardinal Health in buying out the medical supplies business owned by Medtronic. Medtronic specializes in cutting edge medical technologies including ones in implantable heart defibrillators and heart stents, was already growing stronger after its acquisition of Covidien in 2014. Meanwhile, players in the global medical supplies market are being constantly monitored by government agencies when it comes to adhering the safety and quality standards set out for medical supplies. The regulatory framework surrounding the global medical supplies market is getting more stringent by the year and players may even find it difficult to keep up with the inflating raw material and manufacturing prices while having to stick to these regulations. The global medical supplies market has experienced a very high level of research and development in the regions of North America and Europe. Both regions have consistently been at the forefront of technological advancement in the healthcare industry and are likely to continue bearing leaders in the global medical supplies market over the coming years. Meanwhile, the demand for medical supplies is escalating at a very high rate in the regions of Latin America and Asia Pacific, as both regions show signs of catching up to the advancements held by the developed economies. Asia Pacific specifically is showing a very high incremental demand rate for medical supplies, thanks to the growing medical outreach combined with the increasing popularity of medical tourism. The leading players in the global medical supplies market currently include Medtronic Plc., Becton, Dickinson and Company, B. Braun Melsungen AG, Halyard Health, Inc., Cardinal Health, Inc., Thermo Fisher Scientific Inc., Johnson & Johnson, Baxter International Inc., Boston Scientific Corporation, and 3M Company.